Life had thrown Betsy Hardcastle some bad breaks. She hadn't set out to be so cold, but at times, it was the only way to protect herself. Still, that didn't excuse her rudeness to the young boy who had moved in next door. Actually, she had been rather abrupt with both Joey and his father. Steve Cameron could tell that there was a deep past hurt that was still affecting Betsy. Steve and Joey had endured their own loss, Steve's wife had died just a year ago. Still, he needed to move forward, and he liked the glimpses he saw of Betsy's true self that she kept hidden behind her severe demeanor. Little by little, Steve begins to include Betsy into their Christmas activities, and into their life. Having been betrayed in the past, this frightens Betsy. Steve and Joey's relationship represents so much that she yearns for and Steve personifies what she would want in a man. She wants to trust in Steve, and it will take all of his stubbornness and ingenuity to break through her defenses and show her that together, they can work through anything. Blame it on the Mistletoe was a touching story of a woman nearly broken from her past. In order to restart her life, Betsy had forced herself to basically remove the element of emotion. She focused on her schooling and career. She used the holiday sales to find discounts on clothing, not gift giving. She didn't celebrate Christmas, and she desperately tried not to think of her daughter. I loved Steve's whirlwind entrance into her life and how suddenly he and Joey were drawing her into theirs. Steve's determination to not dwell on the past was exactly what Betsy needed. 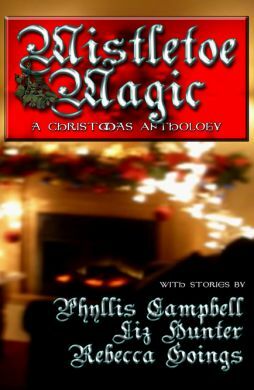 Blame it on the Mistletoe is a short story in the Mistletoe Magic Anthology which includes 3 stories. The other stories are Underneath the Mistletoe by Rebecca Goings, and It Must Have Been the Mistletoe by Phyllis Campbell.